then this task can be easily accomplished by LinkChecker, which is firefox addon, and will ensure you to quickly find the broken or dead links on a webpage. The link status on the webpage is expressed in different colors as shown below. Kevin A. Freitas, the creator of this popular firefox extension has also created a test page here for you to see its usability. Nice useful web tool for SEO and web development. I have just come across a very novel website based on an idea, which has the potential of completely changing the way we use the Internet. Welcome to www.dontclick.it. It is a website, just like any other website with lots of pages and navigation links, but with a totally different approach. You are not required to click anywhere. That's the way the name of this website has been devised. Go, check it out. It is really a nice experience. Recently I had to upload about 100 photos of my daughter's birthday from my digital camera to the PC. These digital cameras generally give these uploaded pictures an unrecognizable name like DCMZ123 and so on. I wanted to change these to Birthday (1), Birthday (2) and so on. It semes like it had to be done manually one by one. But when I searched for an easy method, I came to know this. Just select all the files at one one go, who are to be renamed, right click and selecet rename. In the dialog box, enter birthday and lo...you are through. All the files are renamed exactly as you have desired. It is lot more convenient. Today I am a happy lot. After a wait of six months, Google has finally given this blog a PR rating of 4. I have expected to get at least 2 or 3, but I must say, I myself was not expecting PR4. But it is here, and I am happy. File Transfer Protocol, FTP, is the protocol through which a client and a server communicate for the transfer of a file. But the term is loosely used for the software programs which use FTP to transfer the files. One of the the most popular FTP program today is FileZilla. However it is standalone program, and you have to run it separately. If you wish to have an FTP functionality right within your firefox browser window, than FireFTP is for you. It is firefox add-on and very light weight, just like any other firefox extension, and performs the task quite efficiently, just like your favorite FTP program. If some unknown person gives you his / her email address and you want to verify whether it is genuine or not before actually sending an email, then what can you do. One method is to send an actual email to him and wait for the response. If it gets bounced then it is fake, otherwise genuine. But that is not a fool-proof method. 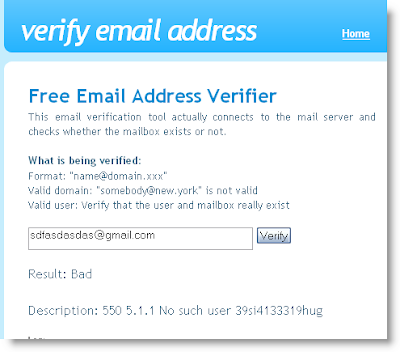 Better is that you head for this cool webtool to verify the email address here. Caution: But I will not advice you to use this service, because the credentials of the company are not yet verified, and there may be chances that they are collecting the email addresses and may spam them in some way or the other at a later date. PDF has been a very popular method of distribution of documents so as not to allow the recipient from editing and changing the document. There are many stand alone programs available, which can covert an office document into a pdf document. Earlier, there used to be a built in feature in MS Office 2007, which allowed users to save the document in pdf format. But due to dispute with Adobe, the creator of the pdf concept, Microsoft had removed that feature from Office suite. But now, Microsoft has again started to bundle the same feature in the form of a add-on utility, which you can download from the Office 2007 download center, but you have to have a genuine copy of Office because the download checks it before any installation. Many email services today use SSL, the secured Service language to protect the privacy of your messages. But your emails are still not safe. There are lots of freely available programs on the Internet, which can sniff your message easily, specially at the Hi Fi spots. Lockbin, is a special and free online web tool, which encrypts your message with a code words supplied by you and sends an email to the recipient along with a link to retrieve the message. However, the recipient can read the message only if he enters the code word, with which you had encrypted the message. Now it is upto you how you send the code word to the recipient, it can be through IN, chat, email or phone. Simple service, but still useful. Firefox today is the first choice of the informed web surfers. Firefox is fastly racing ahead IE in the browser race. It is true that with the introduction of IE 7 and Safari, its pace has slowed down, but it is still the popular browser of people who use Internet more than average persons. One of the reason of its popularity is its open source nature. That is, add-on applications developed by third party can easily be integrated with it to customize it as per your needs and requirements. 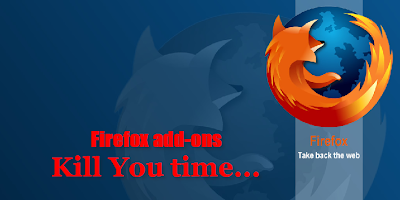 This blog has previous written posts on various firefox add-ons like ScreenGrab, Hyperwords, Sparky, SiteAdvisor and many others. Here we are going to let you know about 11great firefox add-on games, which you can play within your browser. No need to download heavy flash files, no need to spend big bucks purchasing them and absolutely no risks of adware, spyware and other sorts of malicious scripts generally associated with various games. But let it be clear, that these are not very hi profile games. These are simple, light weight desktop games, but surely have the potential to keep you involved for hours. So here goes the list. It is in no definite order. 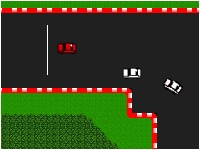 Xoom: A simple racing game, which offers two tracks - beginner and advanced. The controls aren’t very much like steering. Clines: A clone of the colored lines game you’ve seen here and there. The goal is draw a line of five balls of the same color, which then disappear and give you points. Mozteroids: Nice graphics. It is like a modern version of the old “Asteroids” game. You drive a spaceship, which can spin, thrust, stop, and shoot. The target is to blow up the approaching asteroids before they collide with you. 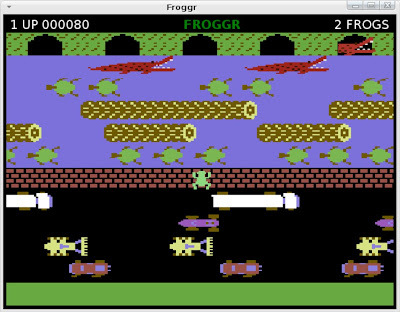 Froggr: It will bring memories of the classic arcade game, Frogger. But here, the movements are a bit smoother and game is slightly more challenging. Mines - Another classic game - Minesweeper - in your browser window. Pag-Man: Remember the famous addiction of nineties. This new avatar comes with a two-player mode also. PingPong - For those people who find playing Pong against other people too difficult, you can just play against the computer. PONG! 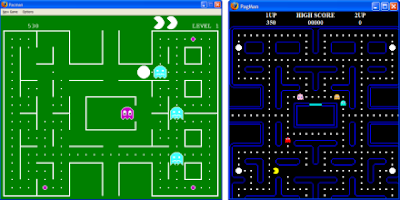 Multiplayer: Play a game of the classic game Pong while chatting with people online. Snake - A clone of the popular game Snake and Worm. Xultris - Bringing the love of the colored block game Tetris to your browser. Gmail is a wonderful email service. The secure and robust email service from Google is probably using one of the most powerful spam blocking techniques and the ever increasing storage capacity, which is more than 2.6 GB at present, and still counting, gives you something more than you can wish for. But there are lots of other application, which can over ride on Gmail and give you a unique experience. One such application, which allows you to use the spare storage capacity of your Gmail account virtually as your hard disk, was mentioned elsewhere on this blog. Here are some other applications, which you can use with Gmail. Gmail Music: Allows you to store MP3 files in your Gmail account and play them on any computer using a web-based GUI. This application has been developed by SourceForge.net project. GTDInBox: This is a firefox browser add-on, which allows you to be more organized. It incorporates a Getting Things Done tool with Gmail. It was once ranked #12 in the 'Top 50 Firefox Extensions' article in .NET Magazine. Gmail Todo is yet another tool from the stable of SourceForge.net project, which also allows you to do the same thing. Gspace: Just like GmailDrive, this tool also lets you turn your Gmail account in to a virtual web drive that you can upload files to and store them. It is a firefox add-on makes your Gmail account look like a FTP host. gTalk Sidebar: This great firefox add-on Google Talk into the Firefox sidebar for easy chatting on the same browser window you are browsing. This tool can also be used to send off mails quickly. These are great web tools. Try them, they are free. Most of us use Gmail, the robust, secure mail service from the big 'G' Google.. which gives us more than 2.5 GM worth of space. But most of this space is remain unutilized as emails generally consume very little space unless heavy files are attached to them. Have you ever thought of utilizing this space for some productive use. 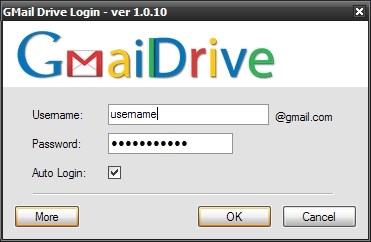 Gmail Drive, is a useful web tool, which allows you to use this space virtually as if it was available on your hard disk. You can save files, add folders, rename files, search files and delete them through Windows Explorer just like any other file on your computer. And the best part is that, these files are available to you from any other computer, which is connected to the Internet. GMail Drive actually creates a virtual filesystem on top of your Google GMail account.It actually creates a new drive to your computer under the My Computer folder. Caution: But GMail Drive is still an experimental tool and is developed by third party. Remember the old school days...when we used to remember the things by taking notes. Wasn't that the best way to do / remember things. The same flexibility is now available with TwitterNotes. With TwitterNotes, you can twit your note, tag it and it will get added to your note list, that all while your are online. The web tool is closely linked to Twitter but they only scan your timeline for notes and copy them into TwitterNote service. There will not be any change to the messages in your Twitter account. To create a note using Twitter, you just have to write a message and prefix it with a plus sign, like this: + I will write today a post about web tools on taking notes.. And the note will be saved into your account.If you want, you can also tag your notes as per your convenience for better organization. I like it, a nice web tool. Learning a foreign language is often a tedious and time consuming job and generally requires special tutors. 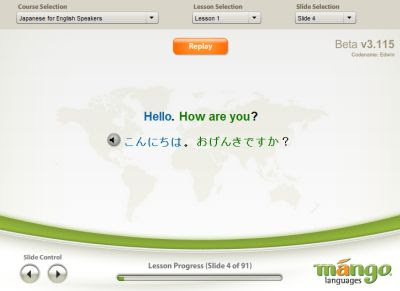 But Mango is a new online web tool, which makes learning foreign languages a whole lot easier. It is currently in Beta and is FEE at present. Signup process is easy, no email required, no passwords. The unique plus point of Mango is that it uses both audio and visual technique for learning. You go through different slides; the quality of learning material and quality of audio is great, there’s a lot of the materials, and it’s free! Why don't get it NOW. After the success of Yahoo Answers, there are now many sites on the web, which provide answers to your questions. 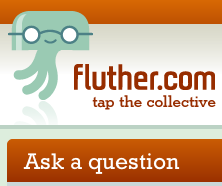 After the launch of websites like Microsoft's QnA and Ask Metafilter, now you can find your answers at Fluther. The exact meaning of the word Fluther is a group of jellyfish. Fluther community of users, who ask questions and other answer that. It tracks your activities and let you monitor questions you've asked or answered in real time. They also promise to send your questions to so-called experts, who are considered experts because they have successfully answered questions on related topics in the past. The Big 'G' Google is also present in this market, but on a more serious note. Google Answers, relies on paid experts to generate answers, and therefore, it costs you to get your answers through them..
Fluther is hand-tailored for you. The more you participate, the more Fluther gets personalized for you. Fluther also a large tag cloud, which displays the topics of questions asked in a easily comprehendible tag cloud format. Fluther has installed a ranking system also, where you get points for good and bad answers. People rate you based upon the quality of your activity on Fluther. And based upon your ratings, you are given access to advanced features. In all such website, one thing I really wish. If these services could start a feature, where the person can also be able to discuss the answer in real time, it will be really interesting. You can find many other services also on this question / answer these. With the presence of Wondir, Oyugi and Yedda, this space seems to be getting over-crowded. In the first post of this series, we had detailed about the concept of what is social bookmarking and mentioned the advantages and disadvantages of using them as search engines. No we present here a list of some of the popular bookmarking sites. This list is in no particular order and contains some lesser known sites as well. AllMyFavorites: Here you can create your own page, store bookmarks, share them with your friends and family and access them from anywhere. Backflip: Gives list of most popular links on the homepage, Easily customizable to give webpages of your interest easily. BibSonomy: Provides a tag cloud, suggests related tags. Detects duplicate content before submission. Easy navigation , clean site. Bluedot.us: Uses tabs for organizing your page, you can import contacts from mail services like GMail and Yahoo. Connectbeam.com Uses the concept of social bookmarking to enhance the productivity of a corporate entity. Connotea.org - Allows you to export your library of resources into other programs (like EndNote) or subscribe to an RSS feed of your own or another user's library. Diigo.com Very convenient to use, just select the portion of the webpage, write on it like you would a piece of paper, share and share it. Ma.gnolia.com - Contains a discussion facility, where you can share and discuss bookmarks in groups. Netvouz.com - Facility of password protection, Hotpicks for your most used bookmarks, import/export capabilities, RSS feeds, clean user interface, no advertising. Also available in Swedish! SocialBookmarking.org - Separate tag clouds for the user and global, blog, avatars etc. StumbleUpon.com helps you discover great websites. With a single click you can find and share interesting sites recommended by friends and like-mindedpeople. You can feel like channel surfing. These social bookmarking sites allow you to add clippings also. BlinkList.com - allows you to rapidly bookmark, label and comment on any web page. You can even send your saved pages to your blog for wider sharing. del.icio.us - One of the biggest social bookmarking platform. Furl.net - Suggests you the best pages which may interest you. You can save the archives also and can export your bookmarked page as a ZIP file. RawSugar.com - member-designated tags to refine your search, It can cluster your tags for you based on recommendations by other users. Simpy.com - It can even detect the links that have changed, distributes your bookmarks via your blog’s RSS. Spurl.net - You can check out their hot lists, recommends you the suggested links. Digg.com - The mother of all social bookmarking sites. Most popular. Has the rating system in the form of number of times a link has been dug. Netscape.com - Now known as Propeller. Earlier was considered a better browser than Internet Explorer, but now is a news aggregator. Newsvine.com - Allows you to write articles on news events, save links vote, comment and chat on article pages. Reddit.com - A neat voting system to move your story up or down. Shoutwire.com Instead of digging a story, here you shout it. Thoof.com A unique feature is that others can improve your story by editing it or fixing the URL. Besides these, there are many others, not so popular but good websites. The concept of Social bookmarking is probably the fastest growing idea in today's cyber world. social Bookmarking allows Internet users to store, organize, share and search for the webpages of their choice. Users save links of pages they want to remember, at a convenient location. No need to remember them or clutter your browser's window. These bookmarks may be private or public, which can also be seen by others. The users can browse through them chronologically, by category or tags, via a search engine, or even randomly. The biggest reason for the popularity of these bookmarking sites is that they are now being used to drive traffic towards your own site or blogs. At the time of bookmarking, you can tag the web pages with appropriate words, which can later be searched by you as well as other. Today's Social Bookarking has started replacing the traditional methods of searching through search engines like Google and Yahoo. This system is human based, as against the automated systems of search engines. So, the system is more perfect. They virtually provide a rating system to the web pages. Bette pages are bookmarked by more people. So, larger no. of bookmarks usually can be associated with better content. However, this system doesn't have standard set of tags. Also there are spelling mistakes while tagging, no discrimination when words mean more than one thing. Furthermore, thismethod is susceptible to corruption and collusion. A webpage of a popular blog, with just about average quality of content, is likely to be bookmarked by more people than a page, with excellent content, but hosted on a not so popular website. Spammers also use lots of tags to bookmark their pages, just to gain more visibility. With this background, we will present here a list of some of social bookmarking site in the coming two post of this series. With the increasing competition in every marketplace, cost cutting is the only option for the companies for increasing their profitability. For this purpose, they employ different approaches and carefully scan every hole, which drains their revenue. One of the important head of expense in today's organizations is the traveling costs of their employees, which can easily be reduced considerably by employing modern tools of voice and video communication. WebHuddle is one such application, which just requires a web enabled PC to start your web conferencing session. It overcomes many of the hiccups like high-price to entry, compromised network security, large client downloads, and unreliability, which are usually associated with such online conferencing tools. The best part is that it is an open source application. It offers you desktop sharing and voice-over-IP which may be useful for larger meetings, where a facilitator has control over the virtual microphone. You can easily record the proceedings of the meeting for record and play them back as per your convenience. It is currently in beta testing and during this period it is free. If you are a blogger or a journalist, you would understand the need of a good and handy web tool for taking screenshots of a website. There are many of them, some are web based, some are standalone executable programs and some are just browser add-ons. Still more, some are free and some require you to purchase them. My personal favourite being SnagIt. In this two part series, we take a closer look at some of the most common screenshot web tools. Save as image: A neat firefox add-on. Takes screenshot of all of the contents of your current page, even if it above or below what you currently are seeing. 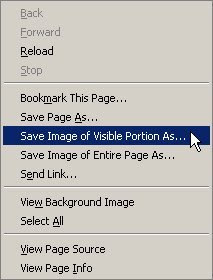 After takinga capture, it prompts you to save avoiding hassles of opening your image editor and pasting the image there. You can also crop the image before pasting. Pearl Crescent Page Saver: Another Mozilla Firefox add-on. It also gives you an option to capture the entire page or just the visible portion. Lets you save the image either in pNG or JPG. Also allows you to save the image either in full size or scaled down. The pro version, costing around $15, gives some more features. Picnik for Firefox: Very easy interface, nice tools, and you can add text caption to your images. Launching a new premium subscription service today. At a price of $24.95 a year, you get of access to host of advanced effects and fonts. 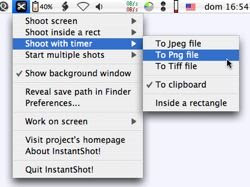 SnagIt: The king of all screenshot capturing programs. 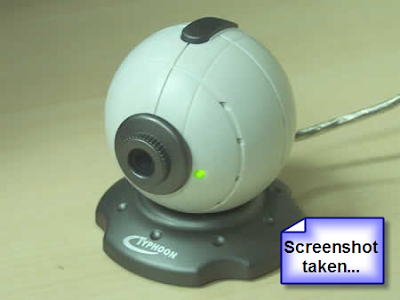 It is a powerful image, text, video, and Web image capture program with many features and options. 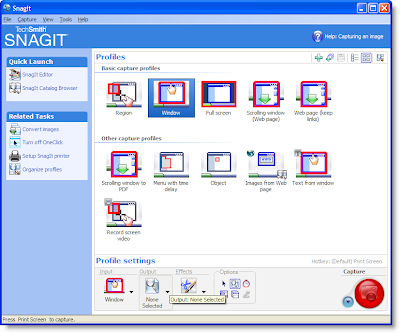 Here is nice guide for using SnagIt. It costs you $ 39.95, and there is also a trial version for free. Torrent version is available here. FastStone Capture : A powerful, flexible and intuitive screen-capture utility. It allows you to capture anything on the screen including windows, objects, full screen, rectangle regions, freehand-selected regions and scrolling windows/web pages. It also has innovative features such as a floating Capture Panel, hotkeys, resizing, cropping, text annotation, printing, e-mailing, screen magnifier, screen ruler and many more. WebShot: Freeware and allows you to take screenshots of a web pages or the entire websites. The main advantage is its powerful command line utility which enables you to automate the process of taking screenshots. Paparazzi! : For Mac OS X, allows you to take screenshot of the entire webpage in contrast to the built in feature of Mac, which allows you to capture only the visible portion. WebShotsPro: Now downloads, no purchasing, no installation. Just visit this website adn enter the URL of the page for which screenshot is to be taken. But you may have to wait a bit, because there is a queue. Yuuguu is the latest cross platform collaboration tool, which everyone to share their computer screens with each other. This latest remote desktop sharing utility requires a small software on both (all) the computers and invitation are sent from one computer to the other. One screens are shared, you can use chat feature to explore the collaborative possibilities. Voice chat is also available for your convenience, but at a small cost. Yuuguu is different from other such services as it combines the IM features with remote desktop sharing. Here you can make a buddy list, invite them to share your screen when they are online, show them what you are looking at on your computer, let them move your mouse and use your keyboard as though they were sat right next to you, and easily start a conference call together. Yuuguu, derives its name from a Japanese word , which means fusion. It supports any device with browsing capabilities, meaning that you can also use it through mobile phones. Yuuguu is similar in use to utilities like GoToMeeting but I find it much simpler to control and use. It's founder Anish Kapoor says, "Yuuguu takes Web collaboration to a new level by integrating community, messaging and collaboration in a whole new and natural way." I wish, if they had incorporated some sort of video interaction between the participants, it would have been a complete package. But still, a great utility. If you work on a shared computer and are concerned about someone knowing your visited links, then HideLinks is an ideal solution for you. You just have to copy the link you want to hide and paste it on hidelink. It will give you an encrypted link, which is a lot shorter than your original link and which nobody knows except you. So, what's new about it. There are tons of such services. But the best part here is that you can password protect it also. The HideLink will retrieve the original link only if the correct password is entered. There are a lot of online conversion tools available, like zamzar, which convert documents, images, audio files and video files from one format to the other. But most of them are restricted to be able to handle only a few formats. 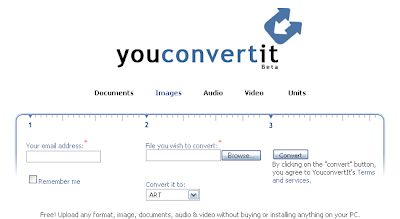 YouConvertIt is a great online conversion tool, which handles virtually any format and thus gives you total freedom, and that too at one place. With this tool, you can covert virtually anything into anything. The best part is that it is free. Even further, a conversion tool for units is also available on the same website. To use it, you have to upload the file, select the desired format from a drop down menu and enter your email address. They will send you an email after the conversion and you can then download the converted file. It is just like zamzar. But there is no limit on the size of your file and also, at present, this service is free from any ads. I just didn't know that more than 30 billion kilowatt-hours of energy is wasted because many of us simply forget to shut down our computers when we're not using them. Ooh, that's a huge figure. But this happen, just because you forget to implement the various power saving options available to you. Now there is an automatic solution to this problem. You can download a 100% Free power management tool from Uniblue Labs, which allows users to optimize their energy savings in minutes and as a result reduce Greenhouse Gas emissions. 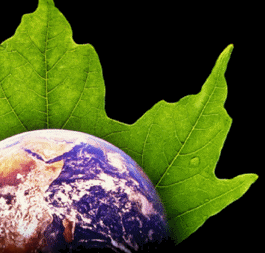 Thus it reduces the emitted CO2 resulting in reduction in Greenhouse effect. Provides you total control on your power settings. Shows you in detail how much you have saved since installing the software.